Getting people to understand the potential future of a place can be a challenging prospect. PlaceStory helps you tell compelling digital narratives that inspire people to take part in shaping the places they live and play. 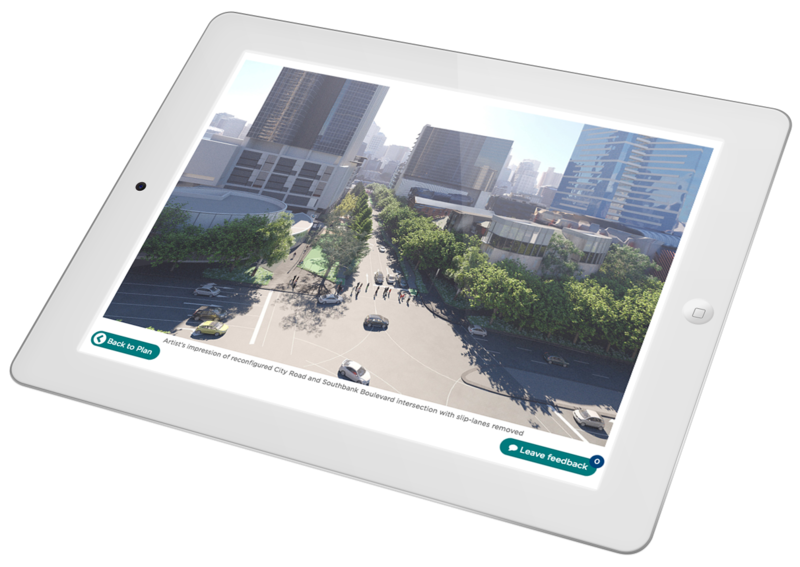 Combine a range of multi-media content such as diagrams, text, video and imagery to construct engaging and interactive digital experiences that bring your plans to life. Help your audience better understand the future potential of a place to support change and become part of a more constructive conversation. 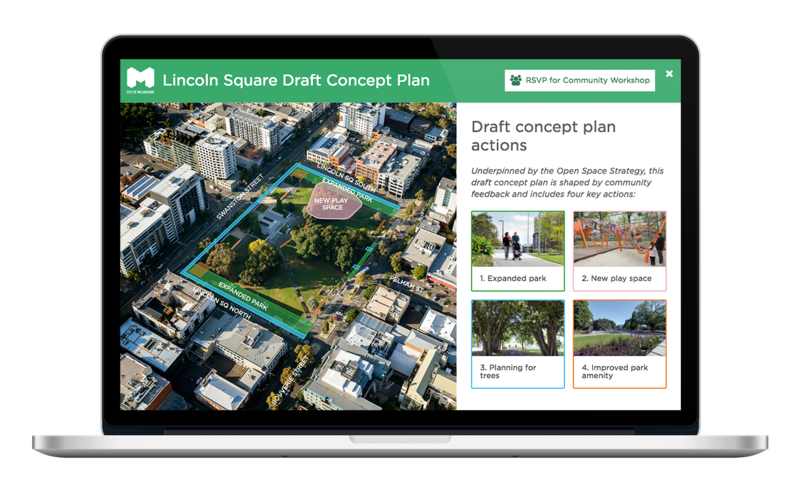 Invite active participation by collecting targeted feedback on your design proposals in an open, transparent and social way to make them better. 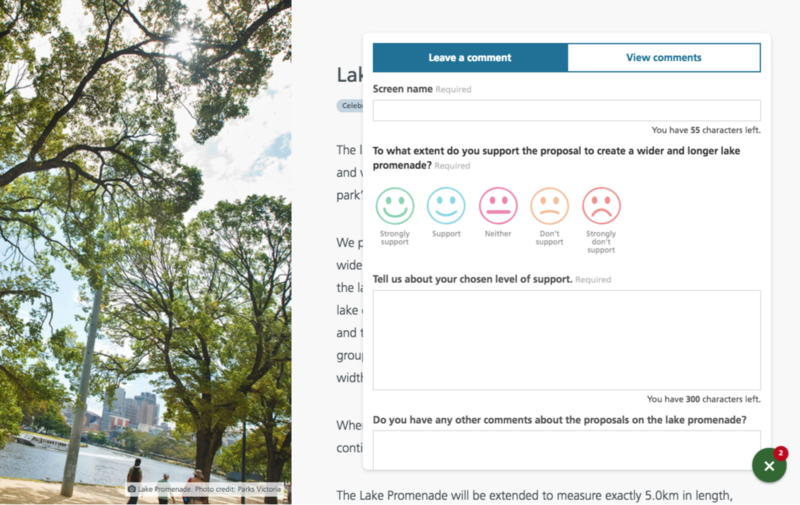 Display and annotate your plan to highlight feature proposals in a visual and interactive way. Let users click on each feature to view its ‘story’ and leave feedback. Build a rich, multi-media experience for each feature of your plan by combining text with a range of content types including images, plans, diagrams, videos, and more. Understand user sentiment about each feature or proposal by having users rate them. Qualify user ratings through customisable, open-ended questions to better understand views and opinions. Publish user ratings and responses in a public feed to create transparency and encourage participation. Access reports on visitation, views, ratings, and feedback for each proposal and export your data for further analysis.